As we move through the holiday season and into the new year, my thoughts have run wild as of late – specifically as they pertain to love and legacy. Working with college students and having a 15 and 11-year-old, I do regularly think about the future and what kind of life and legacy these young people will be left with. As we close out the year and enter into a new one, my thoughts are on the future. But to think about the future, you have to be working on the present (not to be confused with the present in the title and subject below – but what a nice tie-in!). In a week that saw me get another vehicle and give my daughter my hand-me-down, I struggle to get past the phrase that’s come to me: Presents or Presence? The car certainly seems to be more of a present for her (although she has shown little interest in driving to this point…). But the more valuable gift would be for me to have a presence with her. Why? To be an example. To be a role model. To help shape her, and build her foundation for life. To leave an impression and a piece of me with her that she will appreciate over time. Sure, the car will get her places, but the time spent with her now will get her to even greater places. To borrow a line from Jesus, I tell you the truth, the young people who grow up lacking in presence will be no better off to be showered with too many presents. What does this teach our young people? How does it help them cope with life? How will it benefit them? Short-term happiness is not anything close to long-term joy. What this means is: both love and legacy are not passed on by things. It’s the investments we pour into others that are non-materialistic that are more meaningful and beneficial. Keep in mind, I’m no Scrooge and I enjoy a bountiful Christmas. It’s just sometimes the message gets lost in translation – and all the wrapping paper. My oldest daughter will come to appreciate the car when she gets her license and finds her independence, but for now, I’m happy she prefers time with her dad. Maybe some of the things I do and say will be my legacy. That’s why I will focus on the best gifts I can give her – and that begins with my presence. I love you all, and pray for everyone to be blessed this next year! The highs and lows of the holidays have left me quite queasy. I can relate to the lurking sadness. I am preparing myself for Christmas and attempting to muster up all the spirit I can find. I am singing Christmas carols at the top of my lungs. After all, this is one of the best ways to spread Christmas cheer and I am hoping the cheer infiltrates my soul. Please don’t misunderstand me, I’m no Grinch. I just found that every time someone asked me at the jump start of the season, “What are you doing for Thanksgiving?” – my heart shrank a little. While trying to answer about all my holiday plans, I would force a smile. I still force a smile. My smile is forced because these questions send me on a journey back to when my Mema was the gracious host of the season. The energy in the house on Thanksgiving mornings was electric. I loved seeing the table decorated, and watching it swell with pride as it waited to seat welcome guests. Many of the guests that once sat around that table now sit around a much grander table with a Host that only Heaven can hold. Oh, how I miss them. My heart just hurts. Thanksgiving and Christmas is now my responsibility. Transitioning from participant to host has left me feeling a bit empty. I long to pick up the phone and ask Mema a million questions, questions I couldn’t even ask when I finally knew to ask them because Alzheimer’s stole her long before the grave did. Recently a sweet friend allowed me the opportunity to pour my heart out. She offered me a beautiful new perspective. She reminded me I do not do this for me, but for the generations on the horizon! My heart may hurt now, but what a glorious future waits! I need to continue these sweet traditions for the three little ones under my roof. Today is not about me. I am finding the strength I need for the holiday season in Psalms 126:5-6.
will sing at harvest time. and carrying bundles of grain. I cried a little on Thanksgiving as I baked the turkey and prepared the corn pudding, but I smiled as I thought of the singing in my future as I welcome family members I’ve not even met yet into my home! children carrying these traditions within their own families. We must not grow weary in continuing traditions that hold families together, for we WILL reap a great harvest if we do not give up! (Galatians 6:9) Our weeping must not hinder the sowing. The holidays may bring great sorrow, but there is a greater purpose for our pain when we work through it and press on to the brighter days that lay before us! I pray that you do not grow weary this season and you find strength in His promises that you will sing at harvest time! In this three-part blog series, we will look at living with intentionality. The content is derived from talking points from a “Spiritual Time-Out” for the leaders at Southwestern Advantage. The legacy we leave behind is determined by those we impact. At present, we are all in the process of building our life’s legacy. This legacy will be our leave-behind when our life concludes. In other words, we should be intentional in how we live, so as to leave a lasting influence to those we love. This is possibly one of the greatest of all the principles in the Bible. Being a servant has a dual role: being a servant to God; and serving our fellow man. Serving others is an important way in which we serve God. But among you it will be different. Whoever wants to be a leader among you must be your servant, and whoever wants to be first among you must be the slave of everyone else. For even the Son of Man came not to be served but to serve others and to give his life as a ransom for many. Be a foot washer. Jesus was. Another example for which he displayed the principle of serving others was when he washed the feet of his disciples. His purpose in doing so was to show how much he loved them by serving them as a slave would his master – to show them no one is above serving anyone else. In fact, now that they had been taught this lesson, they would be further blessed by God by carrying it out. You call me ‘Teacher’ and ‘Lord,’ and you are right, because that’s what I am. And since I, your Lord and Teacher, have washed your feet, you ought to wash each other’s feet. I have given you an example to follow. Do as i have done to you. I tell you the truth, slaves are not greater than their master. Nor is the messenger more important than the one who sends the message. Now that you know these things, God will bless you for doing them. Washing the feet of others is not something we really do today, but the gesture is the point. Read Mark 10:43-45 again. Will it be different among YOU? To be a leader, you must be a servant. After all, “Even the son of Man came not to be served but to serve others.” This is truly living with an intentional legacy. What are you doing to serve others? How does it feel when you serve others? I wanted to share a past Facebook post written by a good friend, Jennifer Otto. In the last several years, Jennifer, her husband Travis, and their family have been “under attack.” These attacks come in all forms – from illnesses, to the death of a loved one, and even fire damage to their home. The word “intercede” comes from the Latin “inter” meaning “between” and “ced” meaning “go”. So it literally means “go between”. 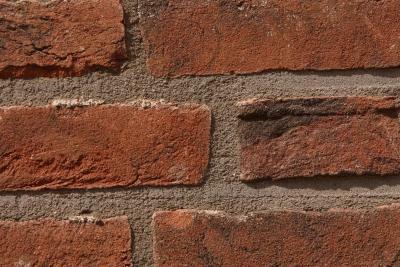 Think of a brick wall, in particular, the mortar in the joints between the bricks. That mortar “goes between”, or “intercedes”, between the bricks to bind them together and strengthen them. Without the mortar “going between” the bricks, the wall would collapse. If you want to break down that wall, the easiest way is to start where there are gaps in the mortar. You start chopping and chipping at those sections and soon the entire wall will lack the support it needs and will give way. That’s just what the enemy of our souls does. He and his cohorts look for those weaknesses in us — places where there are gaps or chinks in our personalities or spiritual armor. Even if we are not consciously aware of those areas, our enemies are! They have spent years watching us, studying us — looking for those things that cause offense in us, or where we’ve compromised truth for self-advancement or exaltation. They know where the pride, contentious and resentful triggers are, or where we’re vulnerable to a religious spirit or divisive spirit. And they know which people, incidents, and conditions are most likely to have the greatest impact and cause us to lose our spiritual balance. They don’t target the areas where we’re strong; that would be spiritual suicide for them. They target our weaknesses, our vulnerabilities, our besetting sins [our friends & family members may not know about them, but the spiritual forces in the heavenly places do!]. They look for old, recently-healed, or not-yet-healed emotional wounds, or habits about which we feel some shame or guilt [like smoking, gluttony, too much TV, too much internet or social networking, etc. ], or those matters we’ve confessed to others as being weaknesses or problems in our lives. So, when we intercede for one another, our chief purpose is to fill in those gaps in one another’s spiritual armor and hold up that person so the enemy can’t gain an advantage over them. Likewise, when we fail to intercede for one another, we’re virtually giving the key to that person’s spiritual house to his/her enemies for them to wreak havoc, to steal that person’s peace or joy or health or even their financial security. How can we say we love one another and not pray for each other?! It’s impossible! It’s a contradiction and a lie! From having Travis and Jennifer as members of a past LifeGroup and knowing their family for over seven years, they are gap-fillers. There have been times when they have needed others to patch their walls, and other times when they have shown up with mortar and trowels. This is what community through Christ looks like. It is helping others and interceding when the gaps are being chipped away. We could all do a better job of having mortar and trowels on hand to patch up and reinforce our lives.